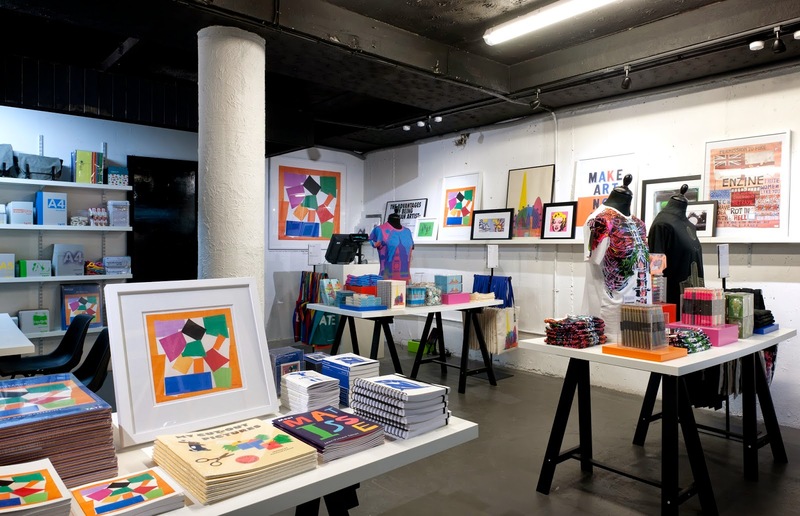 The Tate Gallery is one of the new group of companies to open a popup shop at Old Street Underground Station, in an initiative curated by Appear Here. During the next week Tate will sell items from its gallery shops, in addition to organising live events - including life drawing - full details below. "Part retail unit, part events space, Tate’s pop-up in Old Street Underground station offers a new way of experiencing Tate beyond the gallery walls. An events programme, curated by Tate Collective, will see the shop transformed into a life-drawing studio, cinema, workshop and forum. A curated retail selection offers prints, local publications and Tate products, as well as Tate’s own ground coffee. The window display will feature a specially commissioned Matisse-themed installation by PAPER Collective. Life drawing goes underground for a 2-hour session exploring the human figure in a variety of poses for different lengths of time. Hosted by Candid Arts. Steven Bryden discusses caps as an iconic piece of headgear which is the subject of his recently published book, Caps / One Size Fits All, a comprehensive archive chronicling the evolution of the cap and its cultural standing. PAPER Collective present a workshop inspired by the forms and colours of Matisse's vivid paper cut-outs which can been seen at Matisse: The Cut-Outs at Tate Modern. This workshop turns Matisse inspired cut-outs into 3-D pieces of jewellery and art. Join Tate Collective to make still-life collages inspired by Matisse’s cut-outs."